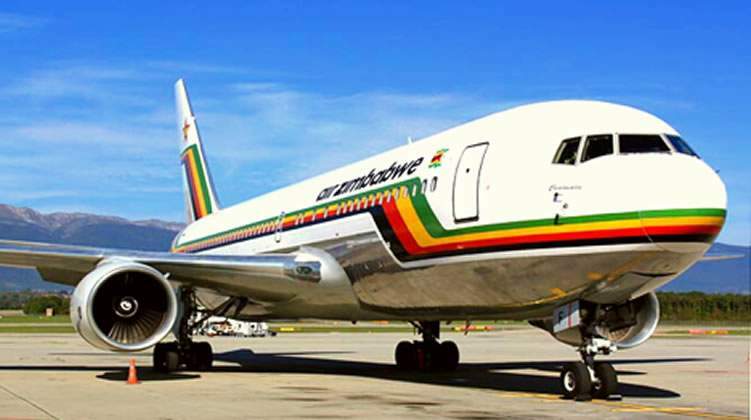 AIR Zimbabwe has apologised to passengers following its failure to service its routes on time last Sunday leaving passengers booked on flights from Harare to Bulawayo and Johannesburg to Harare stranded for hours. Passengers who intended to fly to Bulawayo were left stranded at the Robert Gabriel Mugabe International Airport in Harare, while those who were flying from South Africa waited for more than 16 hours at OR Tambo International Airport before they were collected after 10PM. Air Zimbabwe is operating with one aircraft for both domestic and regional routes. In a statement yesterday, Air Zimbabwe acknowledged the serious inconveniences caused by the disruptions, saying it expects normal schedule to resume within the shortest possible time. "Air Zimbabwe wishes to apologise to its passengers for the schedule disruptions which are currently obtaining. Due to equipment constraints, the airline is currently operating with one aircraft to service all its routes. "The aircraft had to undergo an engine change on Sunday, March 3, 2019. The engine change process could, however, not be completed within the projected time due to unforeseen circumstances," said Air Zimbabwe. The airline said the disruptions affected this week's operations as most flights had to be rescheduled. "The rescheduling resulted in adverse effects on our crewing requirements based on the regulated employee duty times that must be adhered to. For regulatory compliance, the airline was forced to cancel and reschedule. "Admittedly this has resulted in serious inconveniences to our valued passengers which we sincerely apologise for. We expect normal schedule to resume within the shortest possible time," said Air Zimbabwe. The airline assured the nation that efforts were being made to adequately equip itself and improve services. "We solemnly and graciously appeal to our valued clients to bear with us during this period. The airline expects delivery of additional equipment soon to ease the current operational challenges. Every effort is being made to ensure that going forward, the national airline is adequately and appropriately equipped for operations. "Furthermore, alternative travel arrangements are being put in place for any passengers that are not reachable on the contact details submitted to the airline at the point of ticketing," said the airline. Air Zimbabwe said it remains grateful to its dedicated staff who continue to selflessly sustain the airline. "The national airline is greatly indebted to its valued passengers who continue to patronise the airline and for the feedback, comments, contributions and excellent support. Our reservations department is making efforts to keep passengers updated of any schedule changes," said Air Zimbabwe. In January, the airline suspended its flights up to mid-month because its only functional plane was undergoing maintenance. The airline, which has largely been operating only two serviceable aircraft, was left with one plane, following the grounding of its popular Boeing 737-200 ER, named Mbuya Nehanda last year. The remaining aircraft, the 767-200ER, known as Chimanimani, is servicing all its regional and local routes. Mbuya Nehanda serviced the Harare /Bulawayo /Victoria Falls /Harare as well as Harare /Dar es Salaam routes, while Chimanimani serviced South Africa.